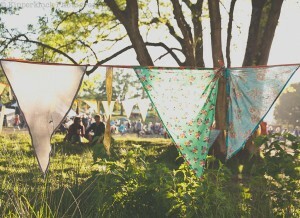 Elderflower Fields Festival is a magical weekend of adventure, discovery and inspiration. Set in the heart of the beautiful Sussex countryside, Pippingford Park in Ashdown Forest its the perfect location to escape for the May Bank Holiday. As well as a stunning natural camping location the weekend promises eclectic music, fantastic activities for kids, and great local food & drink. The So Sussex Sunday picnic is one of the highlights of this family weekend. It’s a lovely way to spend an afternoon with friends and family (or even strangers), and it’s all included with weekend tickets. Elderflower Fields is the only festival in the world to supply every guest with a free communal picnic filled with delicious tasters of local produce and a very special chocolate cake. 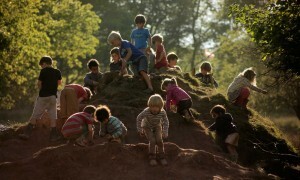 Elderflower Fields has masses of free activities on offer for kids. All run by a dedicated team of professional organisations providing the opportunity to discover new skills and have fun. Rafting, mud hut building, music masterclasses, parkour, science, disc golf, night walks, slacklining, bush craft skills, art workshops, sports camp, kayaking, orienteering, pond dipping, drama workshops, climbing wall and more. All FREE with your ticket. The Green People Woodland Spa is perfect for a little luxurious festival pampering. You can prebook supervised sports or arts camp session on their website so that the kids are taken care of while you relax. They also boast Double Decker Hot Tub Bus! Gypsy, folk, blues, rock, cajun, swing, dance and classical. The line up this year looks like it provides something for every taste. Introducing children to music is also a big part of the festival with a unique performance being curated on site by East Sussex Music Service as part of the BBC Ten Pieces, as well as the winners of their Youth Musician Competition. 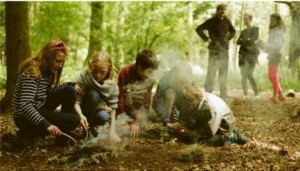 Some of the finest local food providers at Elderflower Fields this year catering for all diets – especially the kids. Attention is paid to supporting local suppliers and produce where possible. All supplying affordable high quality meals. Elderflower Fields is now in it’s fourth year with excellent feed back from guests returning year after year. “We’ve been overwhelmed by the positive comments and feedback received from festival goers over the last three years. Their words sum up the ethos of the festival far better than we ever could and inspire us to improve and make Elderflower Fields 2015 the best yet. Weekend and limited day tickets available here. 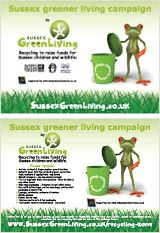 This entry was posted in Children & nature, Events, Green stats, facts & news, Seasonal celebrations. Bookmark the permalink.